If any man has ever been able to give the right answer to this great question, out of his own wisdom and experience, that man was Solomon. If any man ever came into this world with a gold spoon in his mouth, he certainly did. The devil has a mortgage on some people from the cradle, but Solomon had no such handicap, for he was well born. He was the favorite son of one of the greatest and best men who ever lived, for his father, King David, was a man after God’s own heart, which means that he just suited the Lord. Solomon was made king of a great kingdom in his early manhood, while his father was still alive to counsel and help him. From this we see that he had every advantage that high station and boundless wealth and opportunity could give him. He had wisdom, riches, wealth and honor such as no king ever had before him or since. An invincible army stood ready to do his bidding, and all the power of a great nation that was under the special protection and favor of God was behind him. He had only to command, and it was done; to express a wish, and it was gratified. He had received the best education it was possible to give him, and was called the wisest of men. The fame of his wisdom covered the earth, and caused the Queen of Sheba, with a great retinue, to make a long pilgrimage of weary weeks and months, to sit at his feet in wonder. She looked upon the beauty of his wonderful palace and the magnificent temple he had built. She reviewed his matchless army; considered the numbers of men who served him and the elegance of their livery; then she looked in amazement upon the wealth of gold and precious things that surrounded him, and took her departure, declaring that the half had not been told her. This is the kind of ability Solomon had with which to answer his own question. He wrote three thousand proverbs and a thousand and five songs, all full of wisdom. If he wasn’t qualified to speak as an expert, where can we find one? Let us see how well qualified he was to know what he was talking about from his own actual experience. Every great pleasure was at his fingertips. If he wanted anything he had only to reach out his soft-jeweled hand and take it. His kingdom had peace and rest from war during all of his reign, so that he had plenty of time to enjoy himself. And from what he says of himself he lost no time, for he took about all the degrees and invented a few of his own. He was a thirty-third degree sport. He lived in a palace, surrounded by courtiers who were not spring chickens, and all highbrows themselves. He was honored, admired and flattered as few men have been. No greater honor than his could be known, no greater wisdom found in any books, and no higher station attained. He was so rich that his wealth could not be measured. He had forty thousand horses and twenty thousand horsemen. The high cost of living never troubled him, for his provisions for his household and attendants one day were two hundred and eighty-one bushels of fine flour; five hundred and sixty-six bushels of meal; ten fat oxen out of the stall; twenty oxen out of the pasture; one hundred sheep, besides hart, roebuck, fallow deer and fatted fowl. Solomon had no ambition that had not been achieved; no curiosity that had not been satisfied. Like his princely father, he was a close observer, and nothing escaped him, so that he was able to say, “I have seen all the works that are done under the sun,” meaning that the world had nothing more to show him or to give him and that was certainly going some. At some time in our lives we have all envied men of great scholarship and intellectual attainments, and have thought of what a foretaste of heaven it would be to have the time and opportunity to learn all the things we would like to know. We have believed that one of the greatest joys this life could give is the joy of knowing things. Well, Solomon not only drank that well dry, but he pulled out the pump, for he exhausted all the schools and colleges of his day, and gave all his teachers nervous prostration in their vain endeavor to teach him something more than he already knew. And then when he had pumped that fountain dry, he sighed and said, “Go to, now; I will see what I can get out of mirth and pleasure,” and then he cut loose on that line, and began to carry on in a way to make a baseball fan at the world’s series look like a dummy in a clothing store window. Then he thinks he has discovered something really substantial, and so goes to building great works and houses, chief of which is the magnificent temple, still called by his name. It required seven years to build it, and took the combined efforts of one hundred and eighty-three thousand Jews and strangers to do the work. It took ten thousand men eleven years to cut the trees. There were eighty thousand hewers of wood, and seventy thousand burden bearers. There were eighty thousand squared stones, all so perfectly shaped in the quarries that the sound of neither hammer nor mallet was heard in putting them together in the temple. At the completion of the work there was a feast of seven days at its dedication, and Solomon sacrificed one hundred and twenty thousand sheep and twenty thousand oxen. The temple was built of white marble, so artfully joined that it appeared like one stone. The roof was of olive wood, covered with pure gold. That is where the idea of covering the domes of many of our capitol buildings with gold leaf originated. When the sunshine fell on the temple its splendor was so dazzling that the eyes were almost blinded. The temple courts and apartments could house three hundred thousand people. There were fourteen hundred and fifty-three columns of Parian (fine white) marble; twenty-nine hundred and six pilasters or columns. Over three billion dollars worth of gold was used. One billion dollars worth of silver was used on the floors and walls, which were overlaid with gold and silver. There were two hundred targets of beaten gold, with six hundred shekels of gold in each target. There were three hundred targets with three hundred shekels in each target. There were three hundred shields of beaten gold, with three pounds of gold in each shield, and the value of the gold that came to Solomon in one year was about twenty millions of dollars. When the temple was dedicated the glory of God filled it. But almost immediately he seems to have taken up another whim, and says, “I got me servants and maidens, and also had great possessions of great and small cattle, above all that were in Jerusalem before me. I gathered me also silver and gold, and the peculiar treasure of kings, and of the provinces. I got me men singers and women singers, and the delights of the sons of men, as musical instruments, and that of all sorts, meaning, no doubt, that he became an art collector, and began to feed on the beautiful, the artistic and esthetic, somewhat as millionaires are doing now, securing for himself the very best to be had in painting, old china, bric-a-brac, sculpture, musical instruments, singers and performers, and then at voluptuous ease he would lie on a princely couch that seemed almost to float in the air, and drink to the full all he could get out of them in the way of enjoyment. And so this wise and honored and wealthy man goes on drinking first from one golden cup and then another, only to dash them all away as soon as tasted in bitter disappointment, and then after he had tried them all, to say, “Not one can satisfy!” confirming what his father David had said in the statement, “The young lions do lack and suffer hunger,” and just what every millionaire on earth today knows from his own experience. To find starvation of the most awful kind today, don’t go down into the slums, but go to the people who are enormously wealthy. Andrew Carnegie says there are no happy millionaires, and Andy ought to know, for he’s got the dough. John D. Rockefeller has about as good as confessed that he got more out of the first thousand dollars he made than out of any ten millions he has made since, and today he is perhaps the hungriest man in all the world. Why don’t you be a man? Why don’t you show a man’s courage, and take up the cross of the Son of God? Why don’t you rise to what you might be? We were all meant for better things. You were never meant for the slop and the swill barrels of the devil. Why do you let the devil control you? Why do you let him make you a pawn on the board on which he plays his game? Why do you spend your money for that which is not bread? Is there any bread in rum? Ask the poor fellows who have been spending their earnings for drink during all these years. Ask their wives and their children. No bread for them. Ask the saloonkeeper. There is bread in it for him, but none for those who drink what he sells. But to go back to Solomon’s doleful cry of “All is vanity!” What does it mean? Was Solomon a dyspeptic, as most millionaires are? Have you ever noticed that it takes more religion to make a dyspeptic smile than it does to make a healthy man shout? Was there something wrong with Solomon’s liver, or what was the matter? Was the trouble all with Solomon, or is all creation out of joint? Is there no good to be found in any of the things with which he employed his time? Is going to school no better than wasting time in idleness? Does a keen appreciation of the beautiful carry with it a curse and not a blessing? Is there no benefit in architecture, music or sculpture? Is there nothing but evil in wealth, wisdom and high station in life? Was Solomon really starving while apparently feeding on the finest of the wheat? He said so many things that appear to contradict all he said about vanity and vexation of spirit and so what does it mean? But wait a moment. Here is something that seems to throw light on the matter. When Solomon says, “All is vanity,” he also says, “under the sun,” and that shows the standpoint from which he drew his conclusions. What we see as we go through life always depends upon where we stand to look. Many a man who tries to talk as if he were standing on a mountain, shows by what he says that he is up to his eyes in the mud. When a man tells you that the whisky business is a good thing for the country, you know that he is looking at things through the eyes of a brewer or a saloonkeeper, and not through the eyes of a father who has a son that has become a drunkard. When a man tells you that he don’t believe in foreign missions, you know that he don’t know any more about what pure and undefiled religion is than a jack rabbit knows about running for president. From what he says you know the viewpoint from which he has come to his conclusion. To know a man’s viewpoint is to know why he sees the thing he claims to see, and now we know why Solomon said, “All is vanity and vexation of spirit!” It was because he was looking at things from the viewpoint of “under the sun.” As if a man could tell what a rainbow were like while standing on his head in a dark cellar. 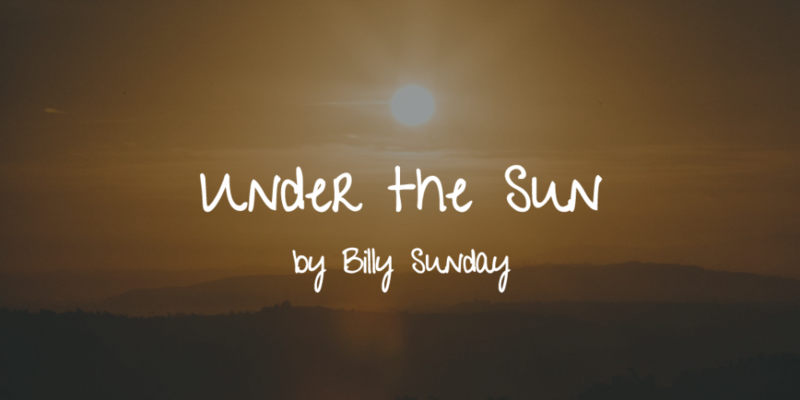 In the little book of Ecclesiastes, from which the text is taken, the expression “under the sun ” occurs thirty-one times, as if Solomon wanted everyone to understand that what he said therein was said from the standpoint of low ground. The great king was looking at things from a low, sensual, materialistic plane, and from that viewpoint every word he said was true. Take away God, take away the Bible, take away inspiration and revelation, take away all hope of a better life in the world to come, destroy all thought of resurrection, and put in its place nothing but hopeless and endless night, and you have nothing left that is worth living for. The life of the greatest and wisest man is then no better than that of a fool. The best fruits of the world would then turn to ashes on the lips, and it were better to die than to live. Blot out everything except what we can know through our senses, and keep from us all light from a source higher than the sun, and the very best this life can give is worse than nothing at all. Destroy in every man the divine spark that tells him there is a God, and that there is a beyond, and every grave would hold a suicide. Let all hope die, and despair would reign. We have only begun to know a little about the soul when we discover that nothing under the sun can satisfy it. It was this great truth Solomon began to realize after he found nothing but disappointment in the very best the world could give him. Under the sun nothing lasts; nothing endures; nothing satisfies. No sooner do we begin to think we have a thing safe forever than it is gone. We love but to lose. Whatever we have is ours but for one brief moment, and the anguish of our loss is a wound that never heals. No happiness is possible without the hope of certainty, and the thing we feel we must have mocks us as it flies. No fountain under the sun can hold enough to satisfy an immortal spirit, and that very fact proves us to be spirits in prison while we are here. All the gold mines in the world have not given up treasure enough to satisfy the man who has a greed for gain. The man with a hunger for honor and distinction has never been able to get enough of it, and the same can be said of everything else for which men strive and struggle and destroy each other and themselves. Nothing this world can give is worthwhile, unless while living in it we can have more than is revealed by the light of the sun. 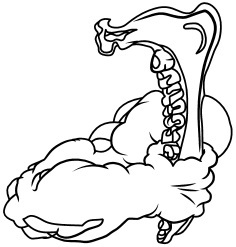 Destroy the Bible and all faith in God, and we might as well eat, drink and be merry and die. Nothing will do unless it can give us the wings of the morning and let us mount higher than the sun, for what can a mole know about the sunrise, or a man in a pit know about the beauty of the mountains? No heaven we can build for ourselves without God can be more than a little anteroom to hell. Without God and revelation and the Bible and hope of heaven, all is indeed vanity and vexation of spirit. But at last Solomon spreads the wings of faith and gets higher than the sun, and when he does the change in his viewpoint changes the meaning of life, for now he can see with a clear eye. I know a man who through some difficulty with his vision can see scarcely anything a little distance away, but one day he went up in a balloon, and when over a half-mile high he could see like a bird. In fact he could see better than he had ever believed anybody could see, and it was that way with Solomon when he reached the place where his faith could lay hold on God. Listen to this, and note how his vision has expanded, and his sight cleared up, “Surely I know (no uncertainty about that) that it shall be well with them that fear God.” There is no more talk about everything being vanity now, and the reason is because at last he has a viewpoint higher than the sun, as is always the case with even the humblest man who has faith in God. Solomon can now see that nothing good is ever lost, and that bread cast on the waters is sure to return after many days. He now sees that wisdom is better than weapons of war, the plain meaning of which in our day is that good common sense is better protection than a slingshot. And then, to sum up, he closes the book by saying, “Let us hear the conclusion of the whole matter: Fear God, and keep His commandments, for this is the whole duty of man. For God shall bring every work into judgment, with every secret thing, whether it be good, or whether it be evil.” And there is no vanity about anything God does. And now let us employ our time for a little while with some of the men who have looked at life from a viewpoint higher than the sun. It was this that kept Noah working away on the ark for a hundred and twenty years, without seeing a flash of lightning or hearing a clap of thunder. Had he been living only for what he could see, it would never have been said of him that “he was a just man and perfect, and walked with God.” The man who walks with God will not spend much time in thinking about the bugs that may be creeping under his feet. Abraham was another man who had a faith that lifted him higher than the sun, when looking for “a city which had foundations, whose maker and builder was God.” You never hear a word from that grand old man about all being vanity and vexation of spirit. And then there was Moses. He had a vision that pierced the clouds and went far beyond the sun, when he saw that “the reproach of Christ” would bring him greater and more lasting riches than the treasures of Egypt, that he might have had by simply folding his arms and doing nothing. But he endured as seeing Him who is invisible, and that made it easy for him to refuse to be called the son of Pharaoh’s daughter. Neither was he looking from the low plane of “under the sun,” when in bidding farewell to the army he had brought out of Egypt, he said, “The eternal God is thy refuge, and underneath are the everlasting arms.” A man must have a sweep of faith reaching higher than the sun before he can say things like that. There is not a word about “under the sun” in the chapter where grand old General Joshua says, “As for me and my house, we will serve the Lord,” and no such words as “vanity and vexation of spirit” ever fell from the lips of that great captain of iron courage. Ezra was not standing on low ground when “he prepared his heart to seek the law of the Lord, and to do it,” or when he said, “The hand of our God is upon all of them for good that seek Him, and His power and His wrath is against all them that forsake Him.” The same was true of Nehemiah, when, in building up the wall that was broken down, he said, “I am doing a great work.” From “under the sun” it would have looked very small. David was looking from higher than the sun, or he could never have said, “The angel of the Lord encampeth round about them that fear Him, and delivereth them. O taste, and see that the Lord is good; blessed is the man that trusteth in Him!” And Daniel had a vision that swept far higher than the sun when he went to the lions den with no more anxiety than you and I would go to dinner. Stephen’s viewpoint was from much higher than anywhere “under the sun,” when he cried out, “Behold, I see the heavens opened, and the Son of man standing, on the right hand of God!” and then went to his cruel death with the light of heaven on his face. And thank God the time will surely come, when in our vision we shall not be confined to the low plane described as “under the sun,” but when with Him in whom we have believed we shall be lifted “far above all principality and power, and might and dominion,” and be with Him forever in heavenly places, where we shall no more see as through a glass darkly, but face to face, and where we shall know as we are known. 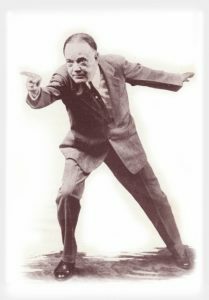 Billy Sunday (1862-1935) was a professional baseball player turned evangelist. He’s the kind of preacher that doesn’t try and impress the audience with “two-dollar words,” but lays out the Gospel in a clear and plain sort of way. Compared to some, you may consider him crass, but don’t let the lack of polish deter you from the charm. Murray was a wildly prolific author. While I’ve not heard of that title, best of luck in your search. I am a member of Amazon and they say they do not have .the life and death of Billy sunday?